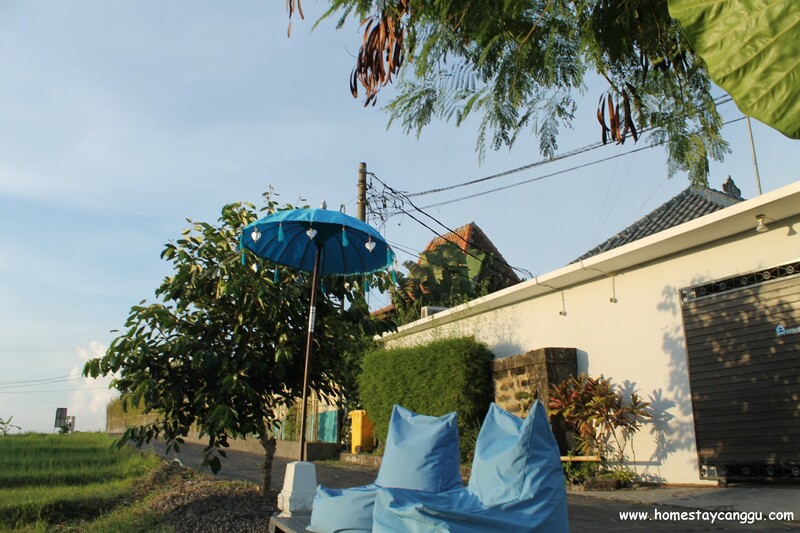 Air conditioned dorm with rice paddy view and overlook the ocean in eHomestay 1, a homey feeling, living with Balinese family’s house with sea view and in front of rice paddy field. 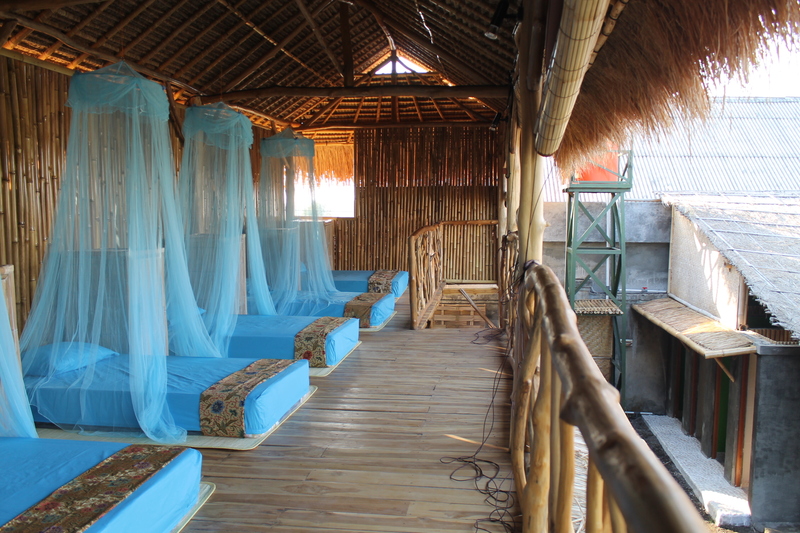 Unique dorm & antique bungalow in eHomestay Wood Hut, an airy and unique surf camp of teak wooden house with reed thatching roof. Check gallery for more pictures.